Oh the hours I spend on the internet, thinking about baby and nursery and all the things he will need. And then there are the things which he won't really need but I think are just gorgeous and wish we could afford to buy. At the end of the day though, I realise that there is no point spending loads of money on things which aren't really necessary. These felt animals - they are just adorable, I love the colours and are handmade in Nepal and fairtrade certified. Currently 1/2 price at Zulily. This beautiful canvas world map made up of animals and sites from around the world. We are super lucky that my Dad & Stepmom are buying this as a gift for the nursery. Hooray! 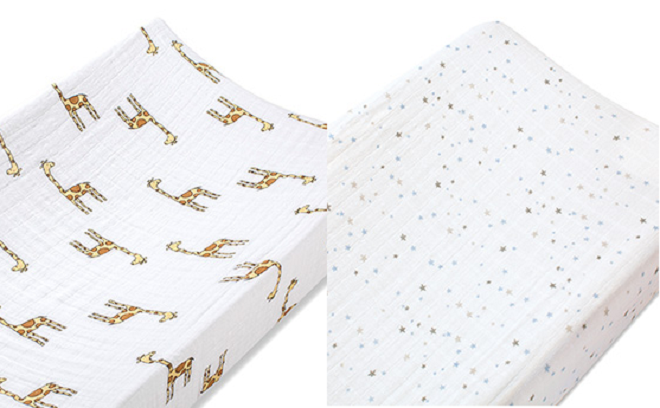 Changing mat covers from Aden & Anais. We will probably buy these but at £20 a pop, they are definitely a luxury - however they are brilliant quality and who doesn't love a giraffe? The Puj bath - we are also most probably going to get this too. 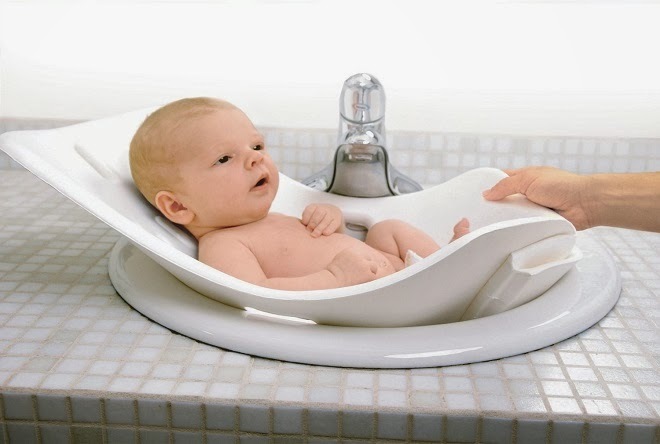 It is perfect for newborns and moulds into your sink making it easy to bath tiny baby. I love iconic or fun onesies for babies - they are just too cute and I can't help myself. Here are a few of my favourites. 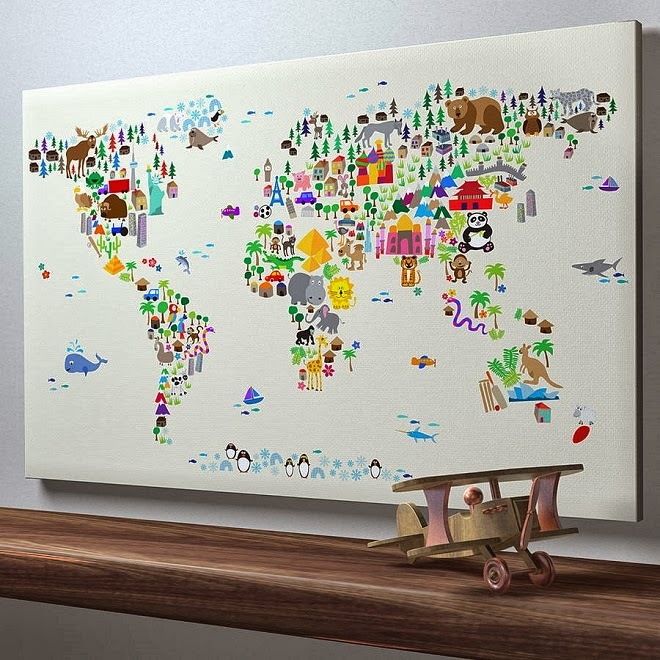 LOVE the canvas world map!! !